Duck Dynasty at Artemis Temple? 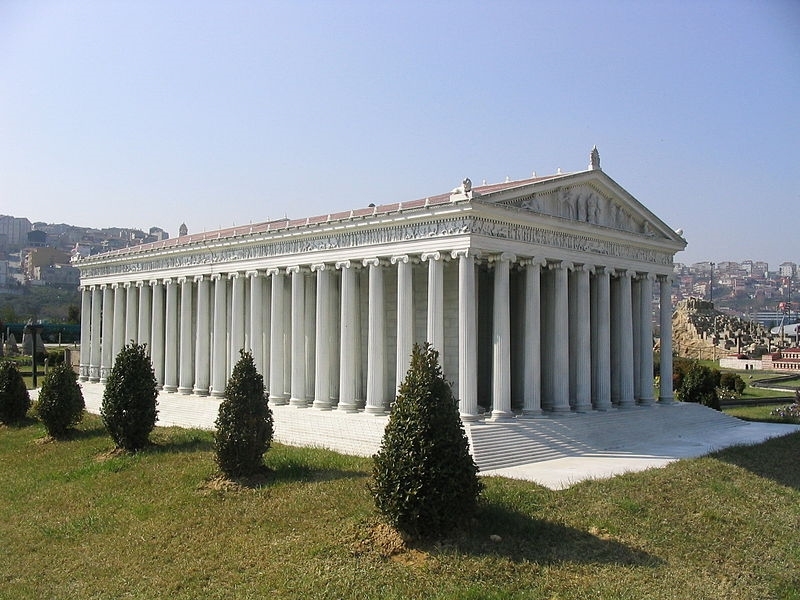 ‎This temple, called Artemision, was one of the Seven Wonders of the Ancient World. Construction began in the mid-sixth century BC; more than a century later, it was the largest building in Rome, Greece, or Asia. Roughly four times the size of the Parthenon in Athens, it featured 127 columns, each measuring 60 ft. in height. It made Ephesus the center of Artemis worship. Wikipedia Commons shares this photo of a model in Istanbul. Model of Artemis Temple at Istanbul. Wikipedia. 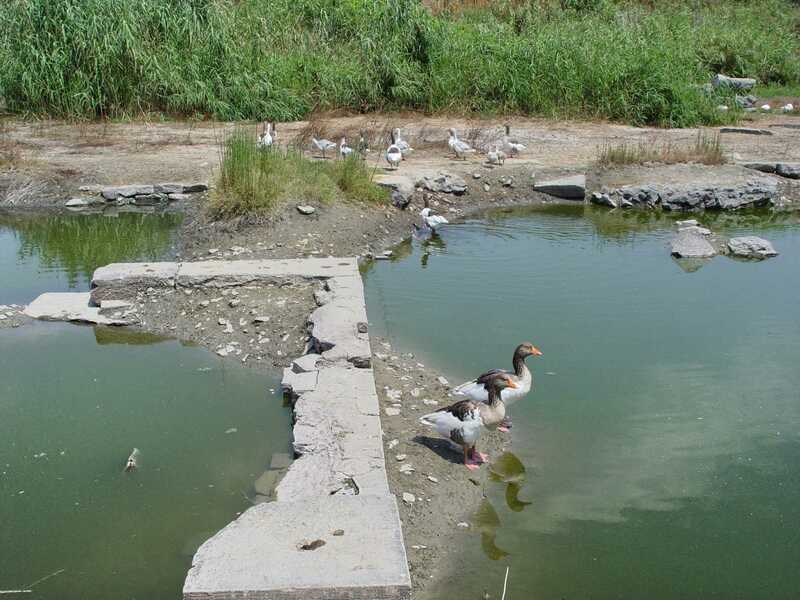 Ducks at ruins of Artemis Temple in Ephesus. Photo by Leon Mauldin. What a difference the passing of time can make! In contrast to man’s transitory work, Daniel said that the God of heaven would set up a kingdom that would never be destroyed (Dan. 2:44). God’s eternal plan was to provide for man to be delivered from the power of darkness, and translated into the kingdom of His Son (Col. 1:13). This entry was posted on Thursday, July 18th, 2013 at 6:09 PM and is filed under Bible History and Geography, Bible Study, photography, Travel. You can follow any responses to this entry through the RSS 2.0 feed. You can leave a response, or trackback from your own site. 3 Responses to Duck Dynasty at Artemis Temple? Great article and pictures by the way.